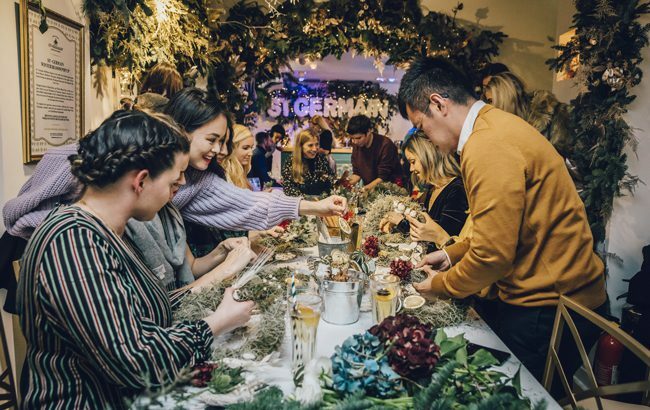 Elderflower liqueur St-Germain is getting into the festive season with a Christmas pop-up in London’s Covent Garden. The St-Germain Winter Bloom Pop Up, which will run until 22 December, will serve cocktails including a cosy mulled Cidre Chaud and the sweet, spiced Hiver. Located on Floral Street, the pop-up will feature a range of contemporary wreaths, bouquets and flower domes, as well as a series of wreath-making masterclasses.